CASH FOR CARS BRIDGEWATER NJ! There’s nothing more frustrating that having a car that needs to be sold in Bridgewater NJ. Pricing guides tend to say your vehicle is worth one thing however non of the people looking to buy your car offer anything close to what you were expecting. RCO Cash for Cars specializes in buying all types of vehicles in and around Bridgwater New Jersey. RCO will save you time, hassle and money posting ads in automotive publications while getting you cash for cars right here in BRIDGEWATER NJ. 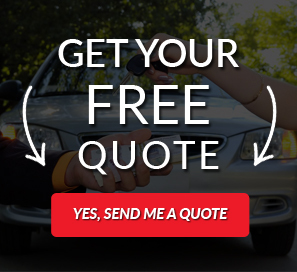 Our comprehensive knowledge of the the industry allows us to buy cars and offer online quotes and can buy your vehicle today. Our Cash for Cars Bridgewater system gets you the cash you need in minutes. We offer the most realistic prices on all types of vehicles bought! It doesn’t matter if you are trying to sell a newer car that has an existing loan or a lease to a junk or crashed car. We will buy it getting you same day cash payment. Free pickup is offered for all junk and crashed car! We make it easy eliminating all types of annoying hassles when selling a car. RCO Cash for Cars get you the CASH you need in minutes. Just fill out our our ONLINE QUESTIONNAIRE for a free online quote. Operators are also available at 888-589-1747. We make selling your vehicle in Bridgewater easy! SELL CARS FOR CASH FAST IN THE BRIDGEWATER NJ!